Noname Drops Sophomore Project "Room 25"
Noname is back with a brand new album titled Room 25. The 11-track project is Noname’s first release since her breakthrough debut, 2016’s Telefone. Guests on the new LP include Saba, Smino, Ravyn Lenae, Phoelix, Adam Ness, Yaw and Benjamin Earl Turner. 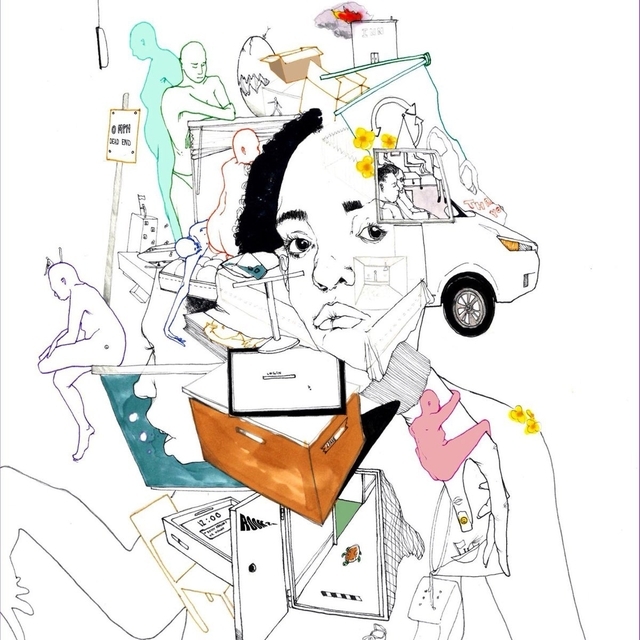 Check out Noname’s Room 25 stream, cover art and tracklist below. Noname’s sophomore project officially has a release date. After teasing her Room 25 album in late August and unveiling its tracklist last week, Noname has revealed the LP will be released on Friday (September 14). The Chicago-repping artist also shared the album’s cover art on social media. The project will be the follow-up to her critically acclaimed debut Telefone, which dropped in 2016. The release helped her achieve wider recognition after gaining mainstream attention for her collaborations with Chance The Rapper, including appearances on Acid Rap and Coloring Book. Check out Noname’s Room 25 cover art and tracklist below.